The United Nations is anxiously following the blast that took place Sunday in Sana'a and left civilian casualties, the international organization has said. The Houthi-run health ministry said on Monday the blast left 109 casualties. Death toll increased to 14, including 13 children, Minister Taha al-Mutawakil told reporters, noting that 95 people were wounded, including 43 children and 22 women. "Most of the killed and injured children are 6 to 17 years old," he added. 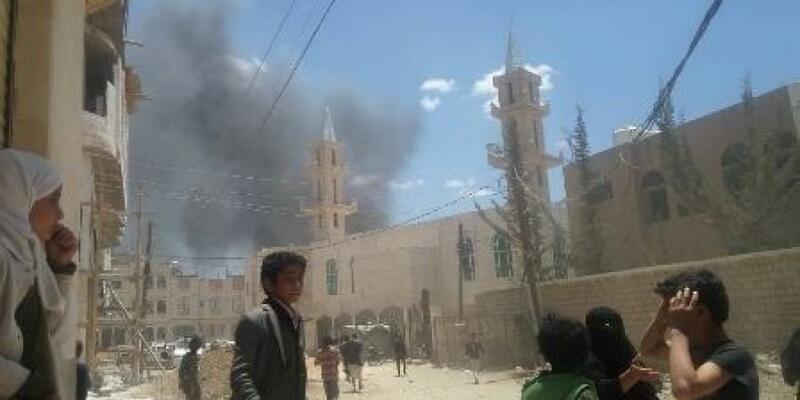 Amid conflicted reports on the blast, Houthi group has blamed a Saudi-led coalition airstrike on residential area in Sawan District, but the coalition has denied shifting the blame onto the rebels. The Arabic Sky News reported, according to its reporter in Sana'a, the death of 20 Houthis at the warehouse, in the nearby of a school. The Saudi Al-Arabiya TV quoted eyewitnesses as saying that "aircraft of coalition, backing legitimacy in Yemen, targeted with several raids a camp in Sawan," to the east of Sana'a. Military sources said Houthis had transformed the camp into a training center and arms cache, exploiting its location inside residential quarters. Coalition warplanes have earlier hit warehouses and workshops of drones in the same area, according to Al-Arabiya.